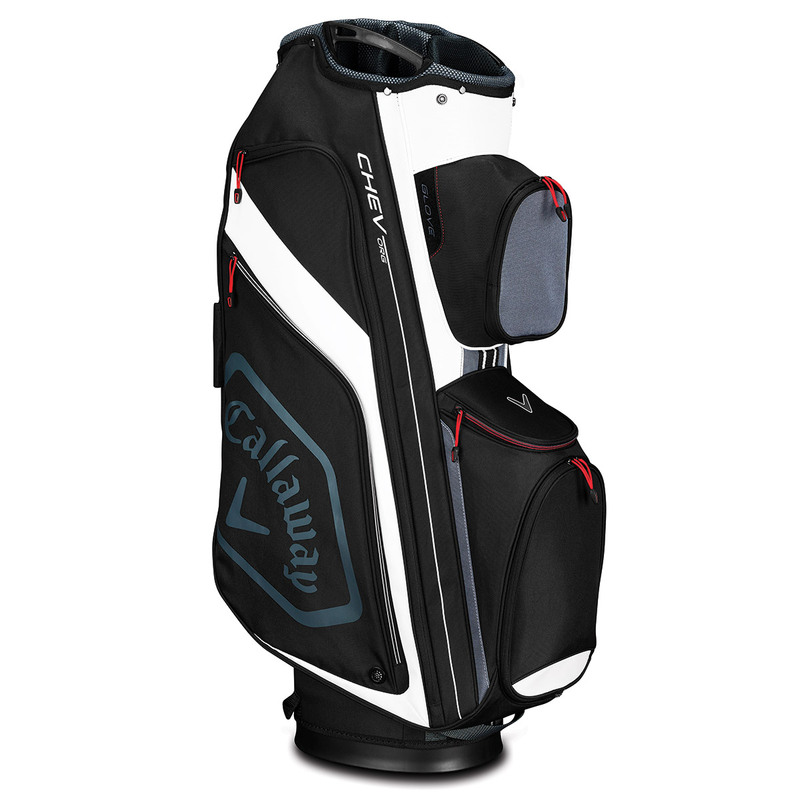 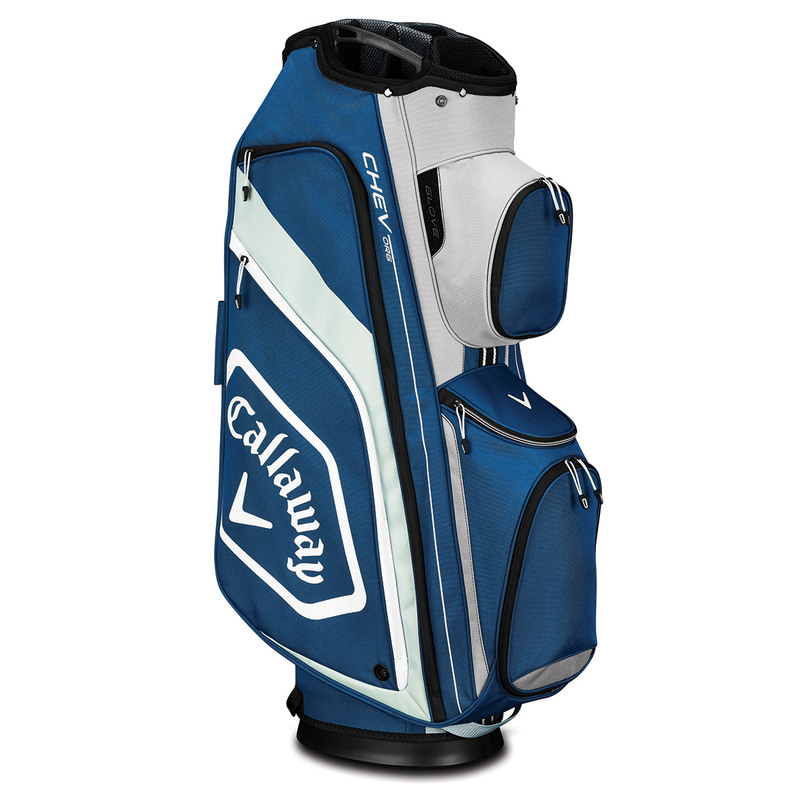 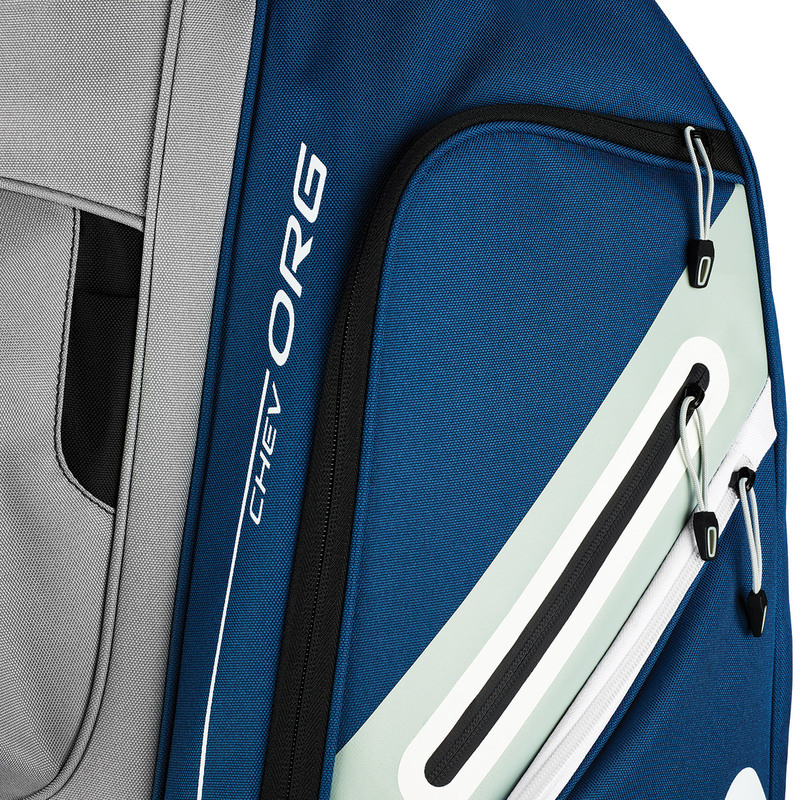 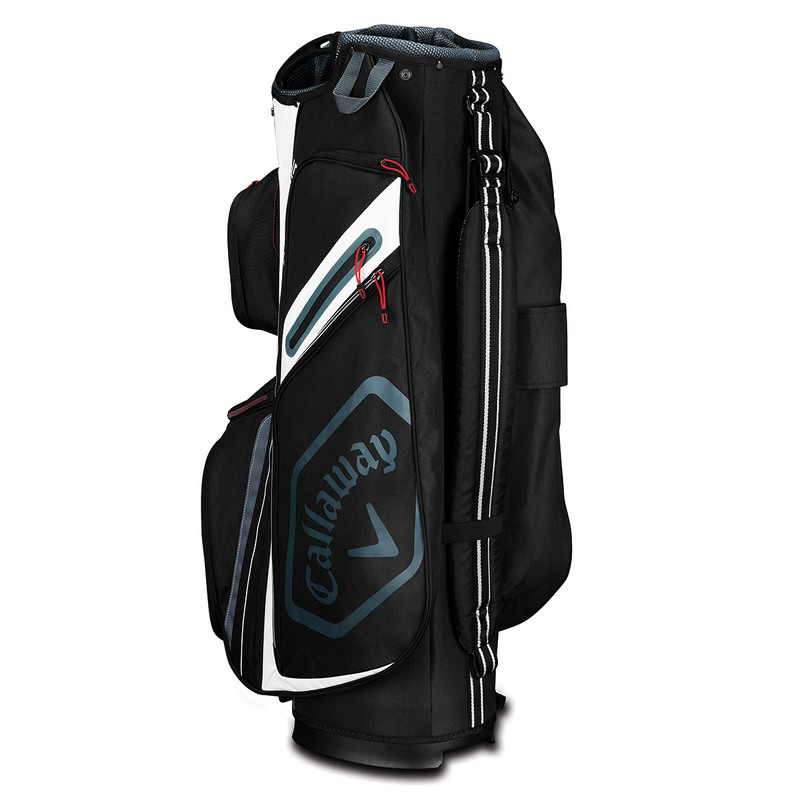 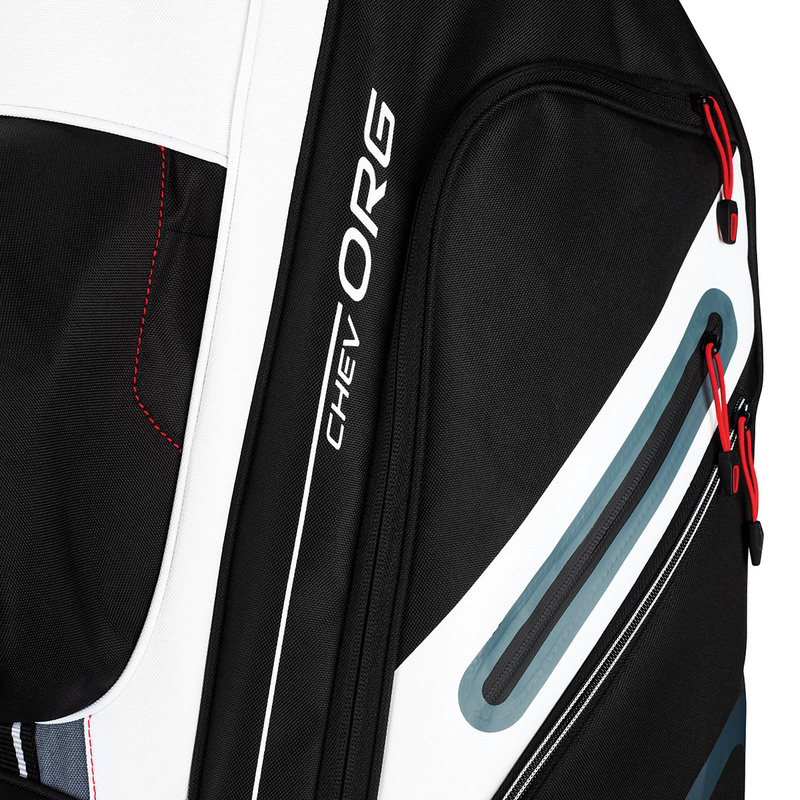 The new Chev Org 14 golf cart bag offers the ultimate in organisation and is lightweight, durable, and stylishly branded. 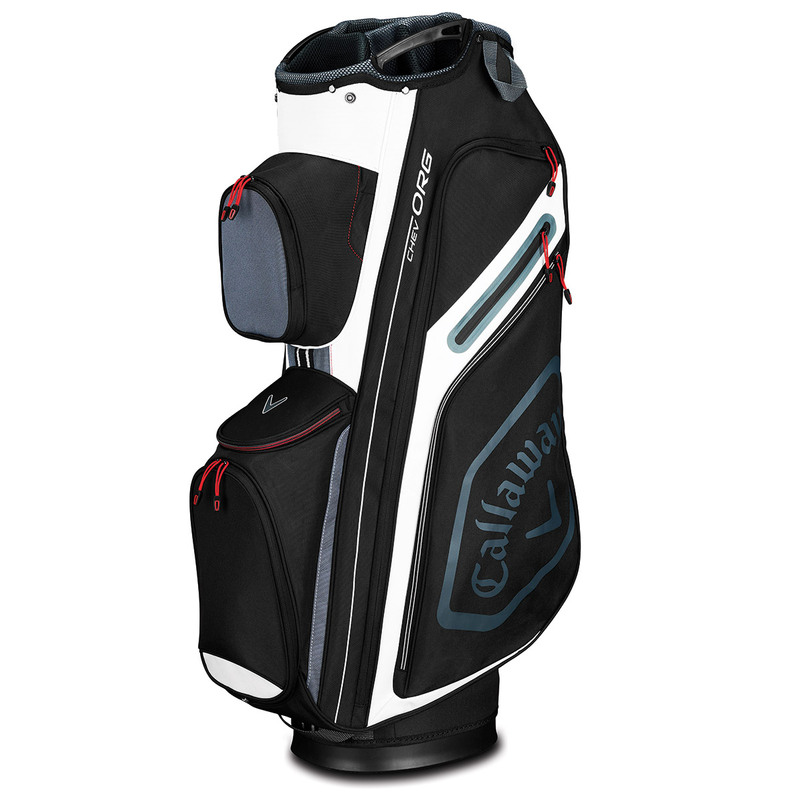 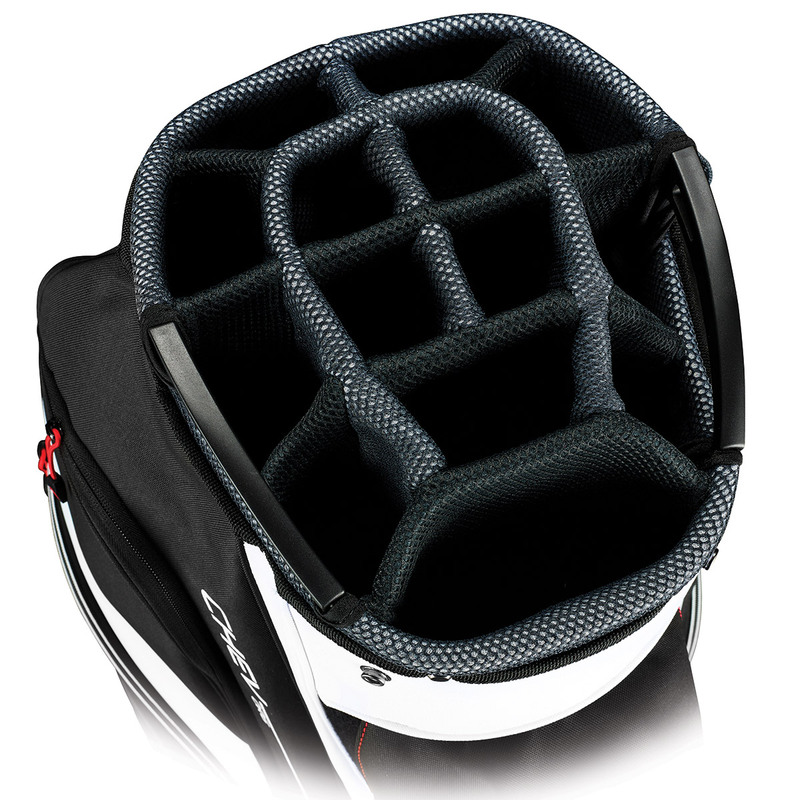 14 dividers ensure that your clubs will remain fully organised throughout your golf game, and a total of 10 pockets help you to store all your essential equipment and accessories away. 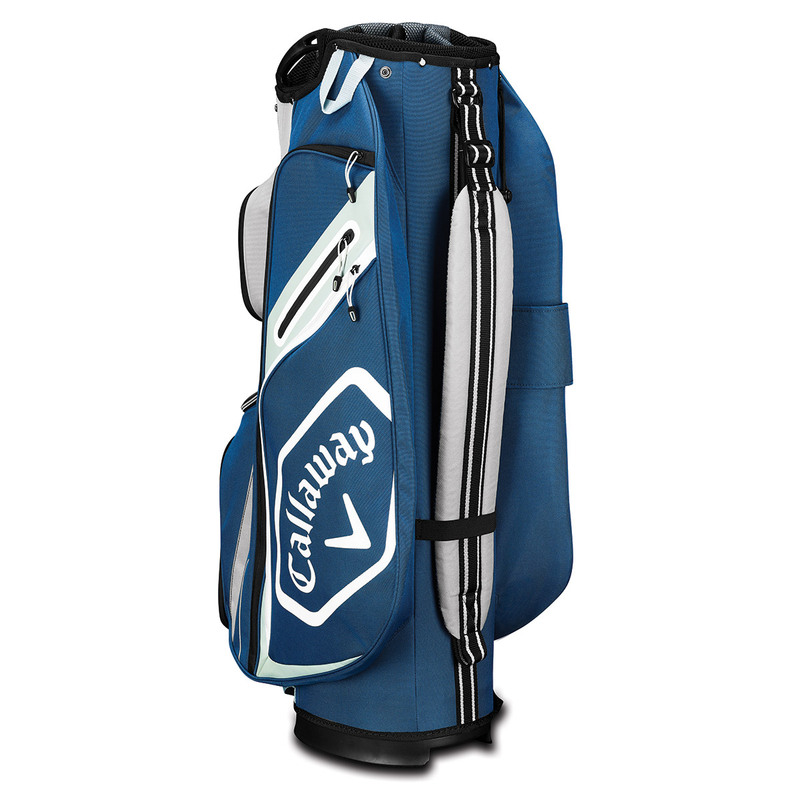 These include 2 full-length apparel pockets, logo ready bottom ball pocket, cooler pocket, as well as a quick access accessory pocket. 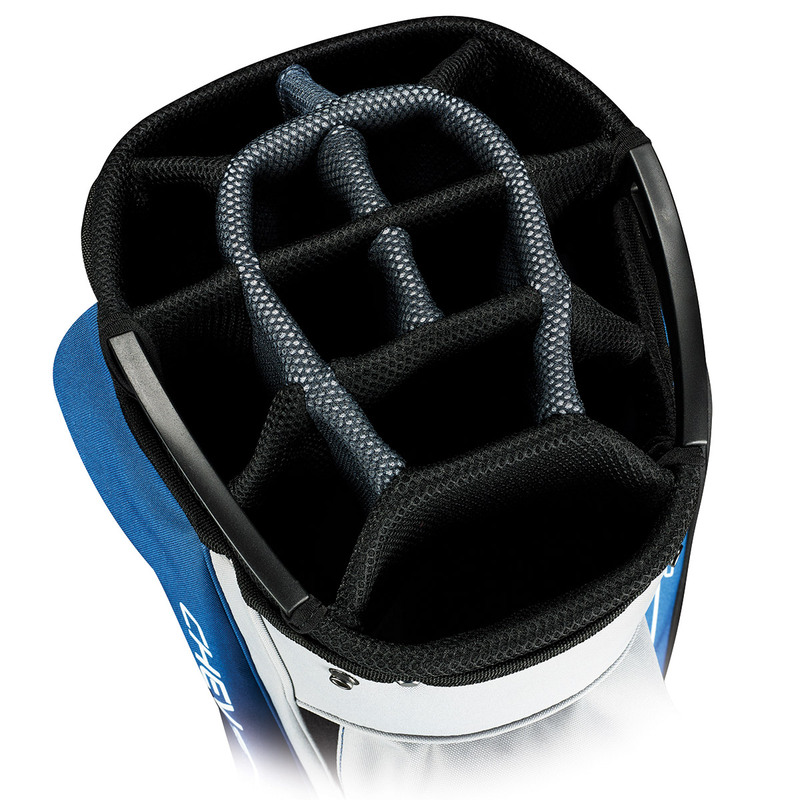 The bag also comes with a pen holder, towel hook, glove attachment and built-in lift handle for easy manoeuvrability. 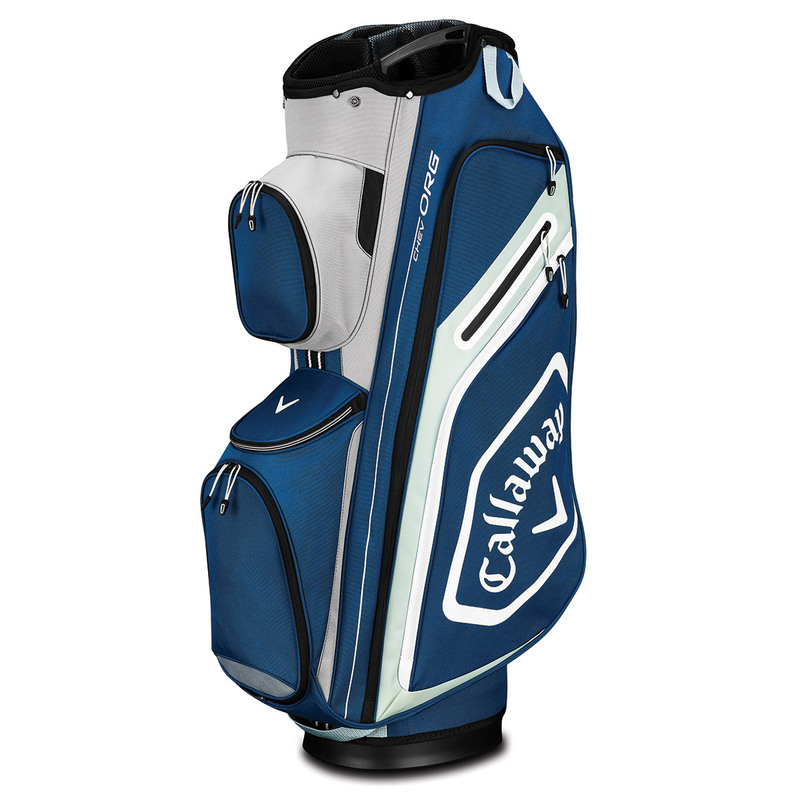 Weight 4.8lbs.